Is your house messy? Yea, I get it. Mine too! But we’ve come up with a few solutions that are helping us keep it under control better. (Notice I said better, not perfectly!) 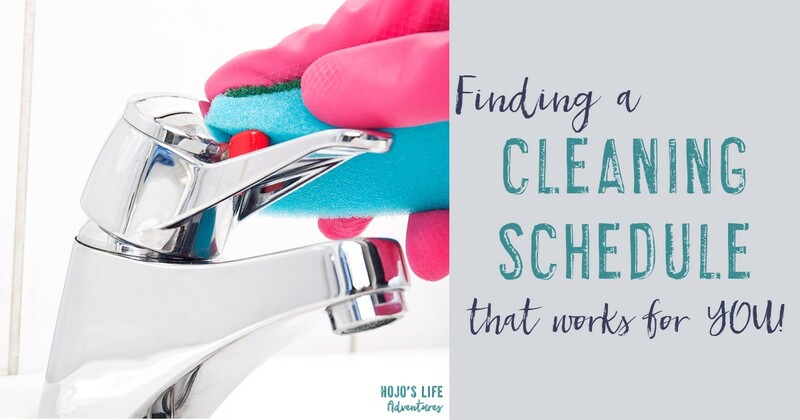 Today I want to share my current cleaning schedule to help others find something that works for them. Obviously everyone is going to have something different that works for them, but I wanted to share this in hopes it helps others get better control of the chaos! Growing up we cleaned each Saturday. I remember one of us three kids getting assigned dusting duty, another vacuuming, and the third one had to water plants. Mom sorted all the laundry out in the kitchen and we took turns helping switch the loads and fold all weekend long. Scrubbing floors was done after laundry, and – if memory serves me correctly – my mom took care of that most of the time. 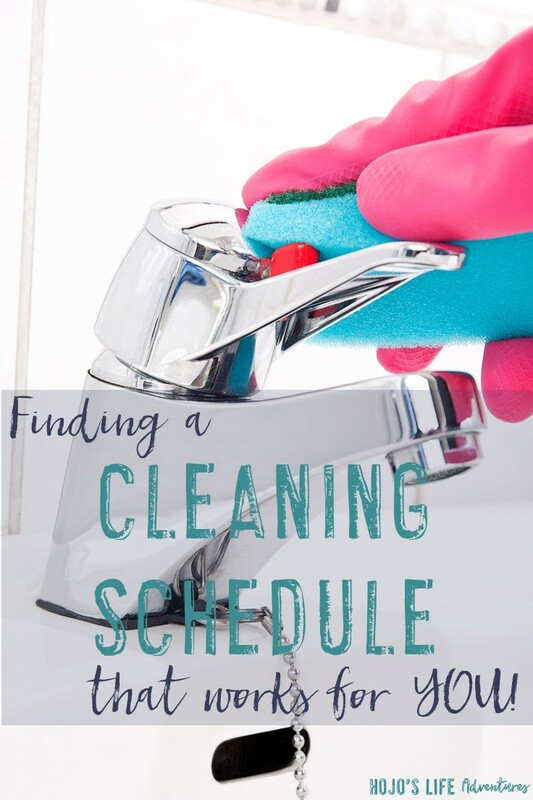 As for the bigger things – we did a deep clean two or three times a year (typically once in the fall and spring, and one after a cold or flu bug had hit the family hard). Monday – Dust the living and dining room areas. Tuesday – Andrew’s bathroom gets a general clean. Wednesday – My bathroom gets a general clean. Thursday – Scrub the kitchen and entryway floors. Fridays vary between the following: cleaning toys, washing bedding, deep scrubbing one area, or some other random thing that comes up. We try to vacuum at least once a week since we have a little one underfoot. But – honestly? – it doesn’t always happen. I’m in charge of the laundry. I try to do two or three loads a couple times a week to keep up with it. Thankfully for our little family of three the laundry monster has not yet reared its ugly head and we are able to keep up. 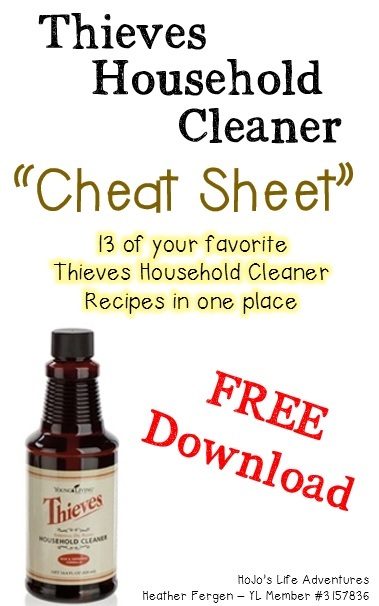 We switched to using Thieves Household Cleaner for a majority of our cleaning projects. It can be used for all purpose cleaning, windows, those tough jobs, and so much more! The fact that it’s an all-natural cleaner that can’t hurt baby J is such a blessing to us. It’s one less thing to have to worry about! 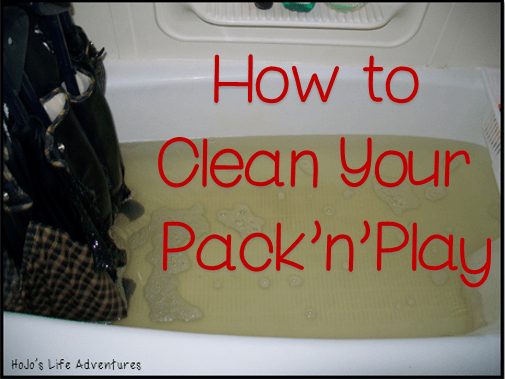 Great tips on cleaning, thank you so much for sharing!